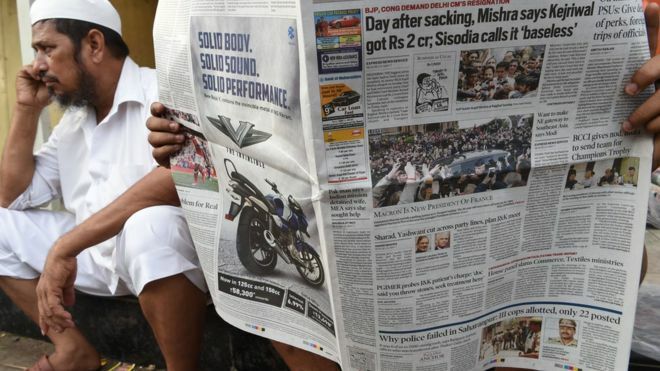 It is a potential scandal that claims to strike at a key pillar of Indian democracy - the freedom of the press - yet it is barely being reported in the Indian media. There's a simple reason for that: this alleged scandal involves many of the most powerful media institutions in the country. A sting operation by a news organisation called Cobrapost claims to have revealed a deeply engrained bias towards the ruling Bharatiya Janata Party (BJP) within many of India's leading media groups, as well as a willingness among some of the country's most senior media executives and journalists to take money in return for pushing a political agenda. Narendra Modi and Xi Jinping met in China’s historic city of Wuhan last month. Greeting each other warmly, the Indian and Chinese leaders talked over cups of tea and strolled in bucolic gardens. President Xi noted he had only twice met a visiting foreign leader outside Beijing. On both occasions, it was for Modi. Yet rather than demonstrating cordial ties between Asia’s ascending giants, the meeting served mostly to highlight divisions, given Sino-Indian relations have worsened greatly since Modi became prime minister in 2014, in particular after a military stand-off near the Bhutanese border last year. Both sides wanted a “reset”. Modi’s position was the weaker of the two. India’s economy is smaller than China’s, and its military far punier. Many in New Delhi feared that the subtext of the summit was a plea that China should avoid more meddlesome border incidents that could destabilise Modi’s re-election campaign next year. Xi appeared more self-assured, having recently extended indefinitely his term as leader. Yet for all the rapidity of his ascent, China’s leader also often appears unsure how best to manage the complexities of his new global reach. 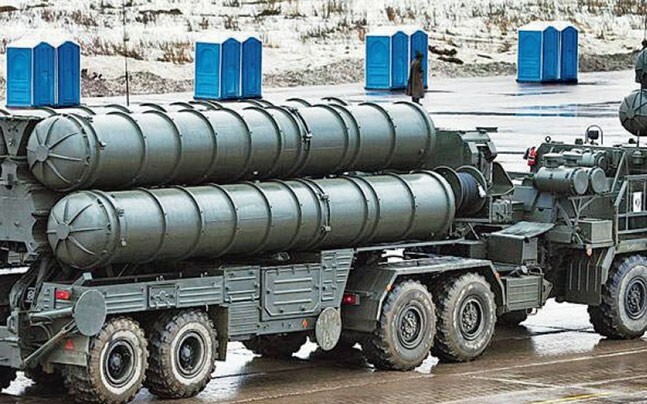 India has concluded price negotiations with Russia for a nearly Rs 40,000 crore deal to procure S-400 Triumf air defence missile systems for the Indian Air Force, officials said. they said the two countries are now trying to find a way out to evade the provisions of a US law that seeks to punish countries and entities engaged in transactions with the defence or intelligence establishment of Russia. The Great Afghan Paradox By most metrics the war in Afghanistan is going badly. By most metrics the war in Afghanistan is going badly. 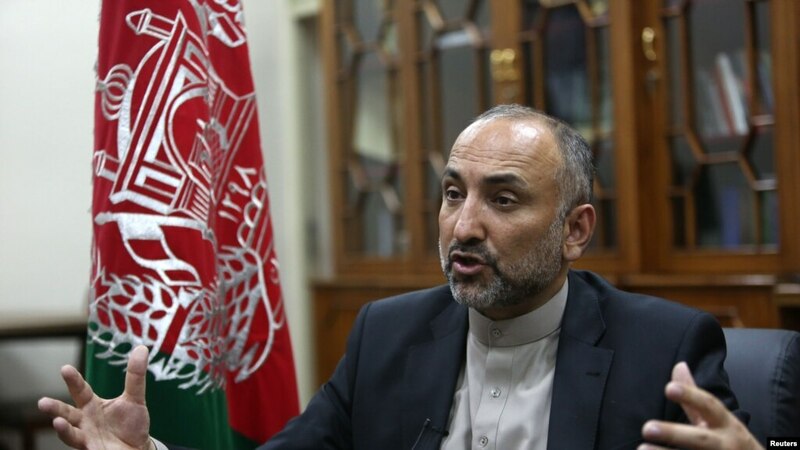 According to the most recent quarterly report by the Special Inspector General for Afghanistan Reconstruction (SIGAR), the troop strength of Afghan Security Forces is in “sharp decline” even as the Taliban are on the march throughout the countryside. The number of “security incidents” is similarly on the rise, to include a series of recent suicide bombings in Kabul, including one in late April attributed to Daesh (aka the Islamic State) that targeted and killed nine journalists and four police officers. Opium production skyrocketed by nearly 90 percent in 2017, and the Afghan government continues to rate near the bottom on Transparency International’s “Corruption Perception Index.” The publication Long War Journal, which tracks the conflict, recently estimated that the Taliban now “controls or contests” 58.5 percent of Afghanistan’s 407 districts, a high-water mark for the Islamist extremist group. For much of its short seventy-year history, Pakistan has managed to thoroughly mismanage its strategic relationships with great power patrons, regional competitors, and non-state clients. It has waged and lost four wars with a larger and more powerful India, supported terrorist organizations that have destabilized Afghanistan and conducted deadly attacks in neighboring India, and alienated its long-time American ally. Only Pakistan’s geopolitical position as a land bridge between the Indian Ocean and Central Asia has kept U.S.-Pakistani relations from severing completely, due to the need to ship military supplies and equipment through Pakistani territory to land-locked Afghanistan. Otherwise, there is little love lost between Pakistanis and Americans; polling indicates three-quarters of Pakistanis view the United States as an enemy, while only 10 percent of Americans trust Pakistan. Never have supposed allies hated each other so much. It has been a violent month in Indonesia. Nicknamed "Black May" by the Jakarta Post, the sheer number of attacks linked to militant group Jemaah Ansharut Daulah (JAD) took many by surprise. Over the course of nine days, about 40 people - including attackers - have died in a string of bombings and edged weapon attacks, leaving more than 50 wounded. Also in contrast to previous years, most of the violence began before Ramadan, a month in which jihadist violence often surges. However, if a silver lining can be found in the attacks, it is this: The tempo has been unusually high, but the level of sophistication has been low, sparing the country from a higher body count. Furthermore, Indonesians have been repulsed by the use of women and children in some of the bombings, and that will continue to keep jihadism marginalized in the world's most populous Muslim country. The U.S. government was well aware of China’s aggressive strategy of leveraging private investors to buy up the latest American technology when, early last year, a company called Avatar Integrated Systems showed up at a bankruptcy court in Delaware hoping to buy the California chip-designer ATop Tech. ATop’s product was potentially groundbreaking — an automated designer capable of making microchips that could power anything from smartphones to high-tech weapons systems. It’s the type of product that a U.S. government report had recently cited as “critical to defense systems and U.S. military strength.” And the source of the money behind the buyer, Avatar, was an eye-opener: Its board chairman and sole officer was a Chinese steel magnate whose Hong Kong-based company was a major shareholder. Watching Donald Trump trying to deal with China is like watching a clown dancing in front of an elephant. The US president’s entire approach is transactional – the methodology he employed in his allegedly successful career as a property developer. It’s all sticks and carrots, bluff and counter-bluff, aggressive bluster followed by rapid retreats. Sometimes, it appears to work. For example, the Chinese leader, Xi Jinping, clearly leant on Kim Jong-un to force him to agree to a summit meeting with Trump. But then Xi leant on Trump to rescue the Chinese tech company ZTE, brought to its knees by a US ban because it had evaded sanctions on trade with Iran. Trump duly complied and ZTE executives breathed again. The South China Sea China has the potential to become a cauldron of conflict, and China is stoking the fire. By claiming perhaps as much as 90% of the South China Sea, Beijing is trampling on the rights of other nations in the region, nations whose Exclusion Economic Zones (EEZs) and national waters are being violated. China first laid claim to the South China Sea through its Nine Dash Line in the early 1950s. And other than pathetic vocal protestations by other nations – including the US – nothing was done about it for years. Perhaps no one took the claim seriously at the time. U.S. and coalition forces launched cyberattacks last year to help identify and destroy several command posts of Islamic State leaders, according to the former head of the task force to defeat ISIS in Iraq and Syria. "This is a vignette that actually played out during and after the battle of Mosul and after the battle of Raqqa," said Gen. Stephen Townsend, who commanded Combined Joint Task Force-Operation Inherent Resolve in 2017. Townsend, who now commands Army Training and Doctrine Command, described the multi-domain operation to an audience at the Association of the United States Army's LANPAC Symposium and Exposition in Hawaii. Mike Pompeo’s first formal speech as Secretary of State can best be described a diplomatic body slam on the Iranian regime. He not only declared the Iran Deal as dead as the Wicked Witch of the West. He laid out the follow-up U.S. strategy to deal with the regime’s nuclear ambitions and destabilizing actions in the region. It’s true that the speech included a long list of complaints about the deal and Iranian behavior that we have heard from Trump before. But Pompeo put three new elements of U.S. policy on the table. The worldwide populist revolt toppling conventional politicians in the United States, Europe and even the Philippines has now reached Iraq. Most Westerners still following Iraqi politics assumed that incumbent Prime Minister Haider al-Abadi’s Victory coalition would handily win the parliamentary election, but nope. Abadi's coalition came in third. Firebrand cleric Moqtada al-Sadr’s Sairun coalition came in first. You remember Moqtada al-Sadr. He’s the guy who mounted an Iranian-backed Shia insurgency against the United States, the Iraqi government and his Sunni civilian neighbors between 2003 and 2008. He’s a very different person today. He still raises and shakes his fist in the air but today he’s shaking it at crooked elites, and he’s shaking it at his former Iranian patrons. The oil shock poses two risks for India. First, the fear that it will increase the current account deficit. Second, it poses a conundrum of navigating conflicting objectives — preserve the market-based retail oil price mechanism whilst graduating the price shock for consumers and containing inflation. The latest oil shock — an increase from $69 last year to $80 per barrel this week — is courtesy the American President, Donald Trump, who unilaterally pulled the United States out of the 2015 deal that Iran had reached with the UN’s Permanent Five (US, UK, Russia, France, China) plus Germany. This spooked the global financial markets, which justifiably fear renewed trade sanctions on Iran, ending five per cent of world production. The nuclear deal had ended sanctions and boosted world supply. Prices declined from $84.2 in 2014-15 to $46.2 in 2015-16. New sanctions may reverse the trend. While we were all hoping for a true breakthrough in North Korea by President Donald Trump, let’s face it: the history was never encouraging. Despite similarly hopeful moments in the past, the North Korean pattern is depressingly uniform: come to the peace table, encourage everyone to believe “peace is at hand,” make promises to denuclearize, gain major trade and economic concessions (a whole thumb drive full of them this time, thoughtfully provided by South Korean President Moon Jae-in), then slowly unwind the package of promises and revert to form as a dangerous international outlaw state. What’s different this cycle is the speed: a bipolar burst of seemingly instant high, followed by a crashing low with nuclear threats from both sides again suddenly on the table — all within 60 days. This is the Korea crisis in the key of Trump to be sure. Recep Tayyip Erdogan, flanked by his deputy Ali Babacan and Central Bank Governor Erdem Basci with the symbol for the national currency, the Turkish lira, during a ceremony in Ankara, on March 1, 2012. To Recep Tayyip Erdogan’s handlers, it must have seemed like a good idea at the time. Show off Turkey’s president to a group of London bankers and fund managers over a fancy lunch as a way to reassure nervous investors about the country’s economic stability and viability. After all, Turkey’s Central Bank had recently upped interest rates a higher-than-expected 75 basis points, showing a measure of fiscal prudence at a time of lingering questions about the country’s economic health. But the May 14 luncheon and a subsequent interview with Bloomberg quickly went off the rails. Erdogan ranted against interest rates and raised doubts about the independence of the Central Bank, vowing even tighter control of the economy if he wins another full term after the June 24 elections. President Donald Trump’s abrogation of the Iran agreement indicates again that progressive Europe is increasingly less relevant to the world. At the same time, the world of power politics has an increasing influence upon Europe. Originally, Realpolitiker Konrad Adenauer and Charles de Gaulle wanted to build Europe as a power bloc that could eventually even resist a rising China. However, the generation of May 1968 rejected such “reactionary” thinking, and thus planted the seeds of contemporary populism. As European societies lose control over their own fate, the guardians of the European project lose their legitimacy. 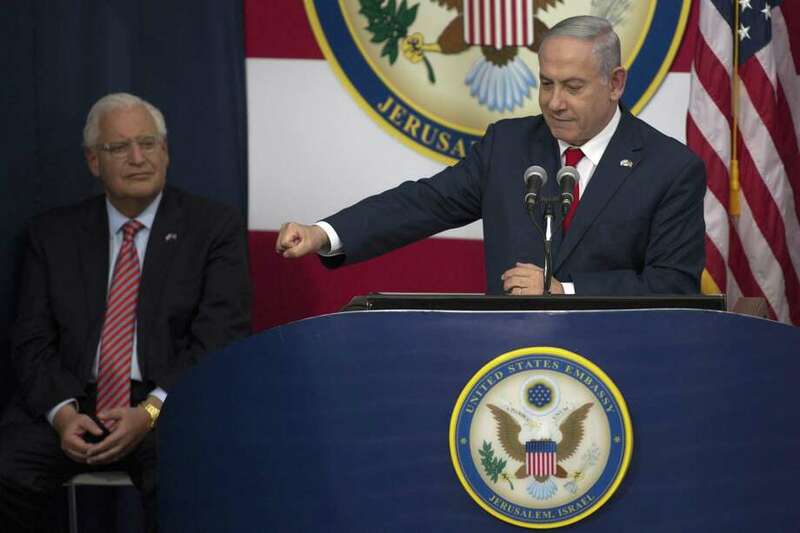 Israel's Prime Minister Benjamin Netanyahu speaks on stage as U.S. ambassador to Israel David Friedman (L) looks on during the opening of the US embassy in Jerusalem on May 14, 2018 in Jerusalem, Israel. US President Donald J. Trump's administration officially transfered the ambassador's offices to the consulate building and temporarily use it as the new US Embassy in Jerusalem. Trump in December last year recognized Jerusalem as Israel's capital and announced an embassy move from Tel Aviv, prompting protests in the occupied Palestinian territories and several Muslim-majority countries. Although the United States remains heavily focused on its trade dispute with China, the U.S. administration has another target in its crosshairs: the global automotive sector. The damage to supply chains and the auto sector could dwarf all previous moves made by President Donald Trump. But the proposal is also likely to see substantial pushback from within the United States. The United States has canceled its meeting to negotiate an end to North Korea’s nuclear weapons program. One of the many points of contention was not just if Pyongyang would denuclearize but how it would denuclearize. Some in the Trump administration advocated what is colloquially called the Libya model, a total abdication whereby former Libyan leader Moammar Gadhafi gave up his nuclear program, only to die partly at the hands of the United States years later. The graphic above provides a timeline of the events surrounding this deal. Japan Wants Closer Relations With Russia. Good Luck With That. The Japanese prime minister's political troubles will add urgency to his country's bid to improve relations with Russia and resolve their long-standing dispute over contested islands. But the ongoing standoff between Russia and the United States, lackluster Japanese investment in Russia and Moscow's concerns about sovereignty leave little room for a breakthrough that would move beyond the incremental progress of recent years. That said, Russia will maintain its outreach to Japan to gain leverage in the U.S. camp and in an effort to counterbalance China. Internal disagreements, along with Italy's bureaucracy, vested interests and parallel centers of power, could reduce the next Italian government's room for action on its ambitious agenda. Though the Five Star Movement and the League parties have pledged to keep Italy in the eurozone, they will use the threat of unilateral action, such as ignoring EU fiscal rules, to negotiate softer deficit targets with Brussels. Renegotiating the European Union's economic governance will be almost impossible, but Brussels will have to decide whether to reach a compromise with Italy, at the cost of alienating Northern Europe, or to hold its ground, increasing the risk of unilateral action from Rome. Not all EU member states have enacted national laws on data protection, and many will have difficulty shouldering the costs of doing so. The second half of 2018 will provide early indicators of how much the European Union can influence large technology companies to address the privacy concerns of EU citizens. Uncertainty regarding the severity of national enforcement could influence the regional development of technology, especially in terms of small and medium-sized enterprises.